I’ve been hearing many complaints from Americans about the high price of gasoline in the US. Gasoline averages $3,84 per gallon in April in the US. Experts suspect it will go even higher this summer when the “driving season” comes. President Obama even commissioned a task force to investigate the oil markets to see if there is any price manipulation. Well, here in Serbia, I would love to pay $4.00 per gallon! The other day I filled up my car and for unleaded, 95 octane, gasoline, the cost was 123 RSD (Republic of Serbia Dinara). 123 RSD is the equivalent of $1.78 US which works out to a whopping $6.74 per gallon!!! Experts in the US are reporting how people are curbing their travel plans or not traveling at all because of the high prices. I wonder what will happen when it reaches Serbian levels. Europe for a long time has had more expensive gasoline than the US. Public transport here is more accessible and things are closer. Most Serbs I know have only one car, and it usually not the big S.U.V. that Americans drive. I am not that bothered by gasoline prices here because we do not drive much. We live 1 mile from school and seldom venture downtown or across the river for shopping or entertainment. I do feel bad for those people on fixed incomes with long commutes. 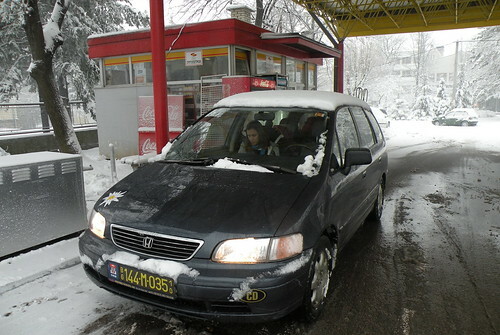 I am not sure why gasoline prices are so high in Europe, especially Serbia. I miss those days of living in Venezuela. 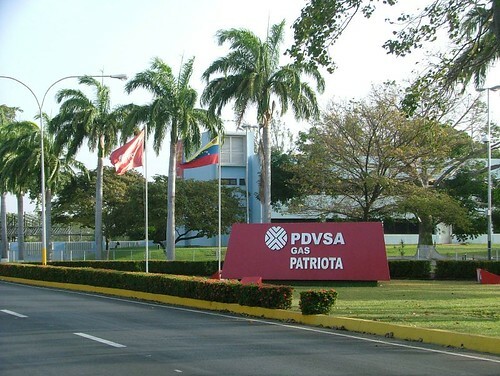 We lived there from 2002 – 2007 and the government subsidies (photo below of the Venezuelan National Petroleum Company Compound) and exchange rates, made Venezuela to have the cheapest gasoline in the world at 12 US cents per gallon.